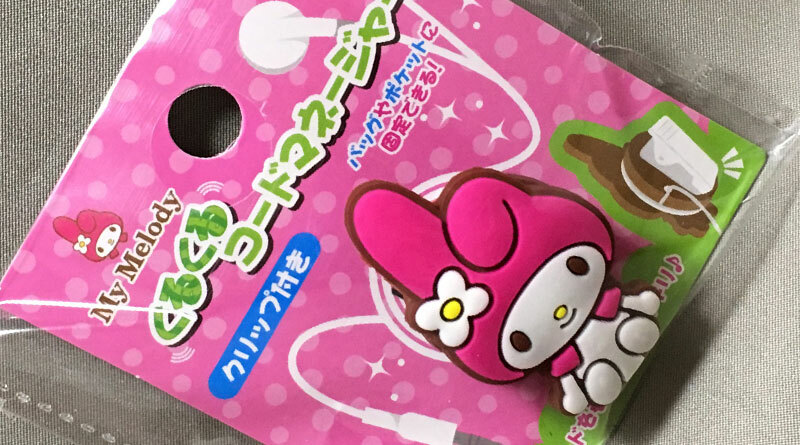 Keep your earphone cables neat by removing the excess slack with the cute My Melody Cord Manager from Can★Do. 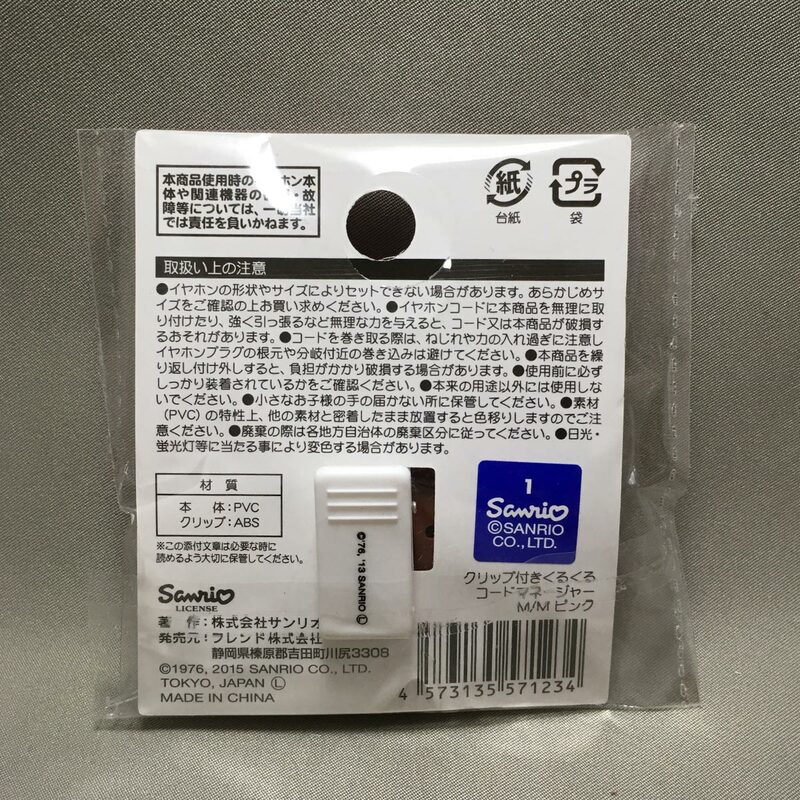 This is perfect to use when you are listening to music on your mobile phone or mp3 player, and you don’t want your earphone cables to catch onto objects, or getting tangled. It’s easy to use, snap one end of the cable into the hole on the back, wrap the cord, then snap the other end of the cable into the other hole. 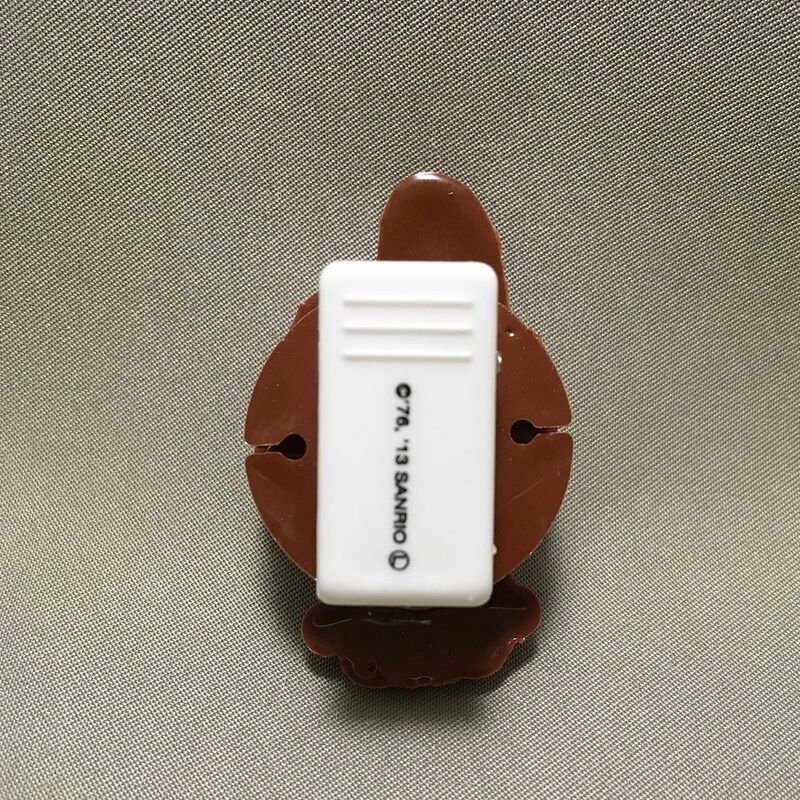 The clip on the back allows for easy attaching onto bags or pockets. 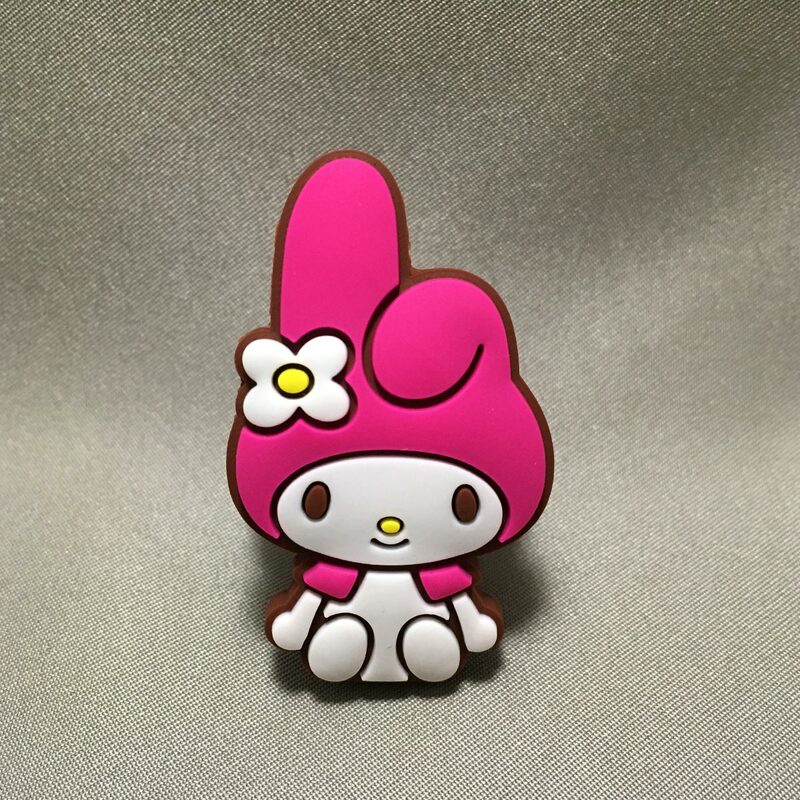 Added bonus, it oozes with super cuteness. 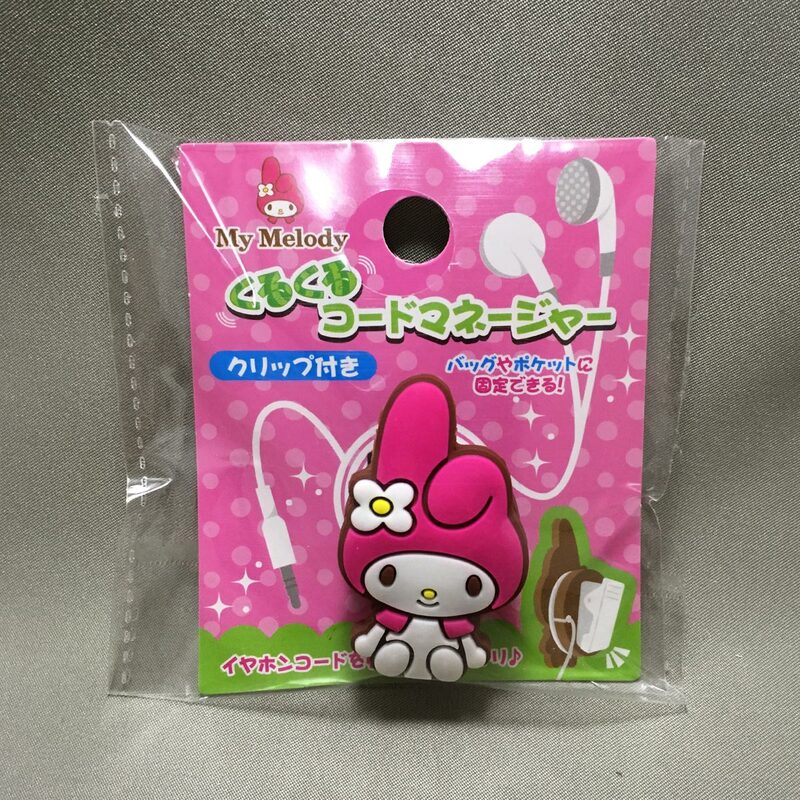 The My Melody Cord Manager is a licensed product from Sanrio (Sanrio seal on the back packaging). – Depending on shape or size of earphones and cord, the cord may not fit the cord manager. Check the cable/earphone size before purchasing. – Forcing the earphone cord onto the cord manager or using force to pull the cord may cause damage to the earphone cord or the cord manager. – When wrapping the cord around the cord manager, do not apply force or twist the cord. Take care to not wrap near the earphone jack or the earphone joint. – Repeated use of the product may wear down and damage the product. – Ensure the earphone cord is fitted properly before use. – Due to the properties of PVC, prolonged direct contact with other materials may result in colors bleeding through. – Direct sunlight or fluorescent lighting may cause color to change. When I first looked at the product, I thought it was a big shoe charm for Croc shoes! Anyway, I hate having my earphone cables dangle and get caught on things, but I have been lazy finding a decent cable manager. 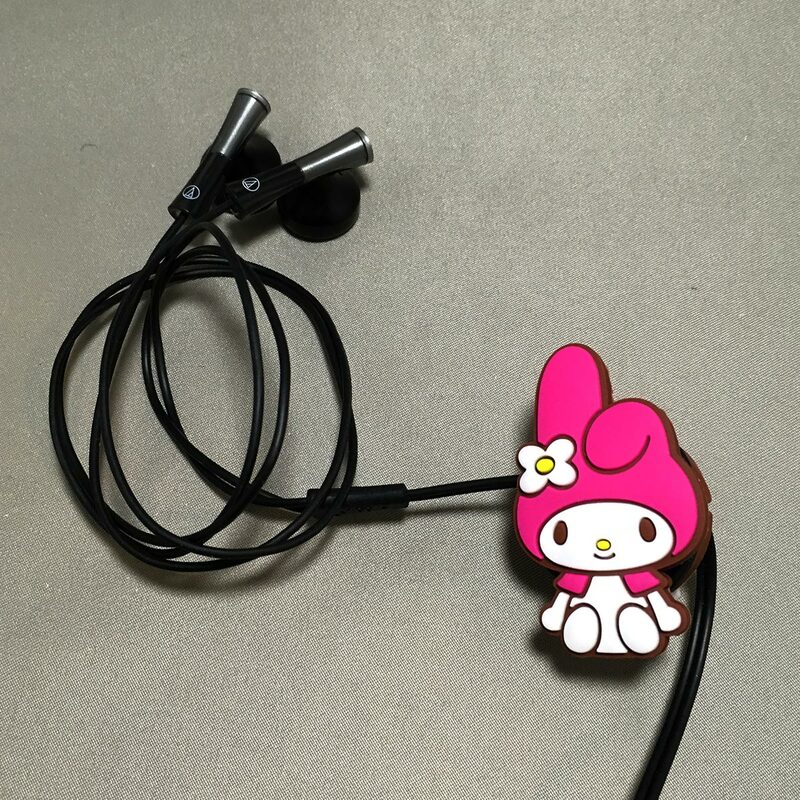 This cord manager could work for me… though I am not a big My Melody fan. For fans, this is a great addition to your collection. 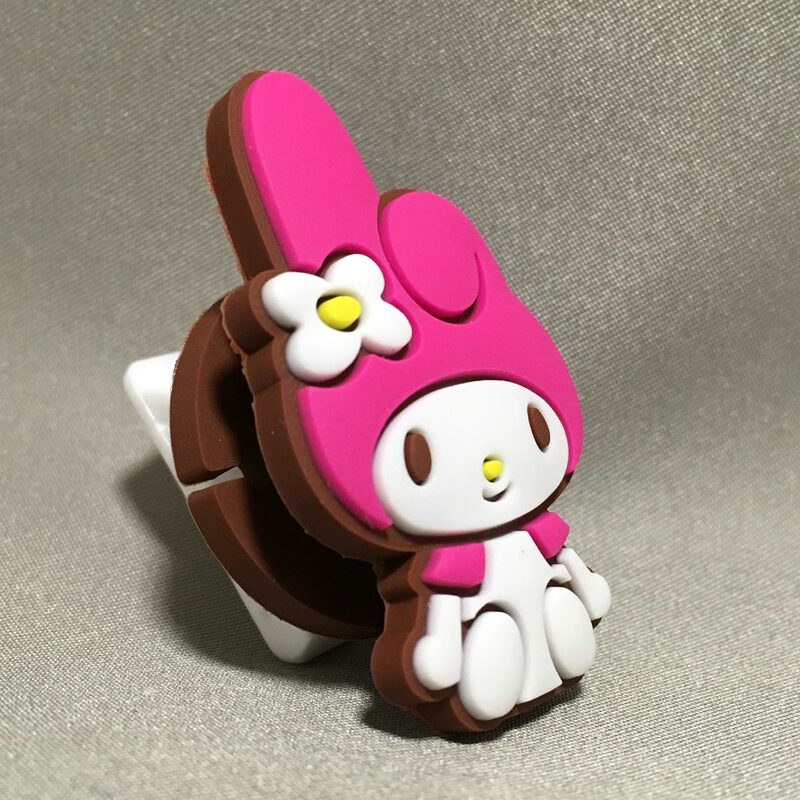 The rubbery finish of the My Melody character is of very good quality, very similar to the Micky Mobile Rubber Stand. 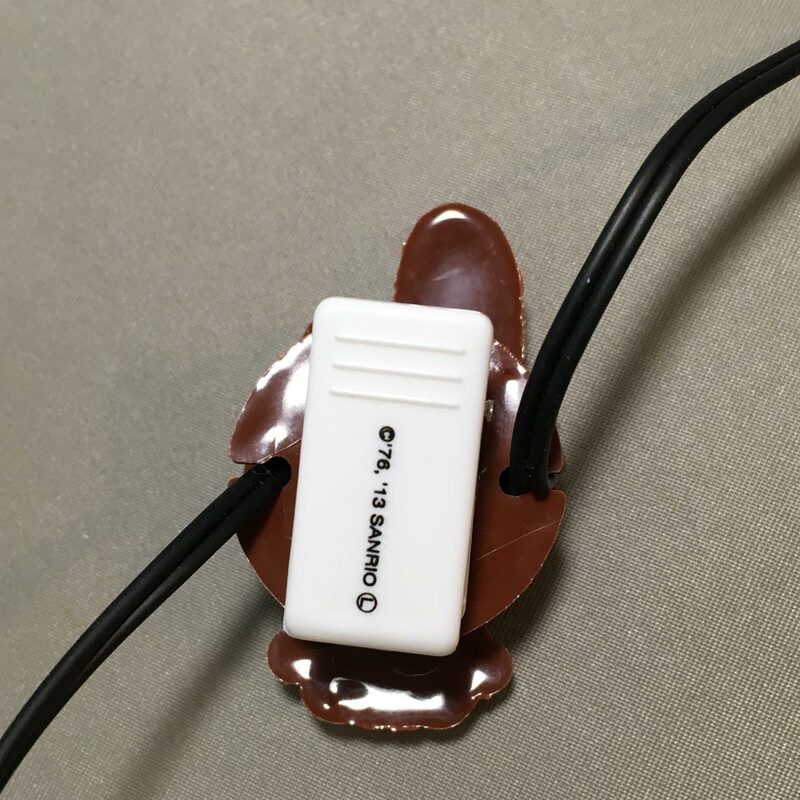 For storing earphones after use, the cord manager can be used to clip the earbud ends and the earphone jack together so that it does not get tangled up when it’s in a bag (which almost always happens!). In addition, the cord manager is not restricted to earphones, it can be used on other cables such as USB charging cables too. If I can find a cord manager with a character that I like, maybe I will use it.